Adroit Science AB, a Swedish CRO dedicated to solid state analyses, has developed a novel methodology enabling detection of polymorphic impurities at minute levels. The impactor part of the work was done in collaboration with Emmace Consulting AB. Up to date characterisation of polymorphic forms in dry powder inhalation has been limited to high dose formulations or the usage of synchrotron facilities. The present methodology provides an outstanding detectability, using optimised conventional laboratory XRPD equipment and including a novel concentration step. 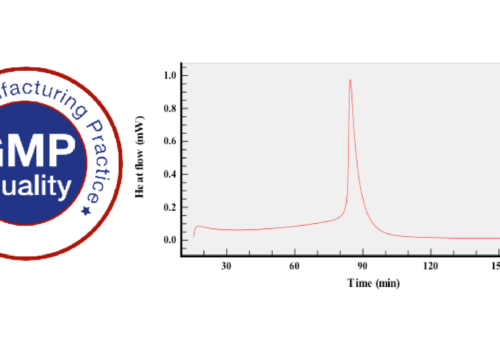 The figure illustrates a schematic illustration of the concentrating device and a diffractogram containing; green – original formulation with 0.27% API, black – pure α-lactose monohydrate, red – formulation after concentration and blue – using optimised XRPD methodology on concentrated formulation. The method gave an LOD of 0.01% (w/w) and LOQ of 0.03% (w/w) for the presented case study.